...and there's something for everyone - some great shops and cafes, a fascinating maritime museum and terrific views. 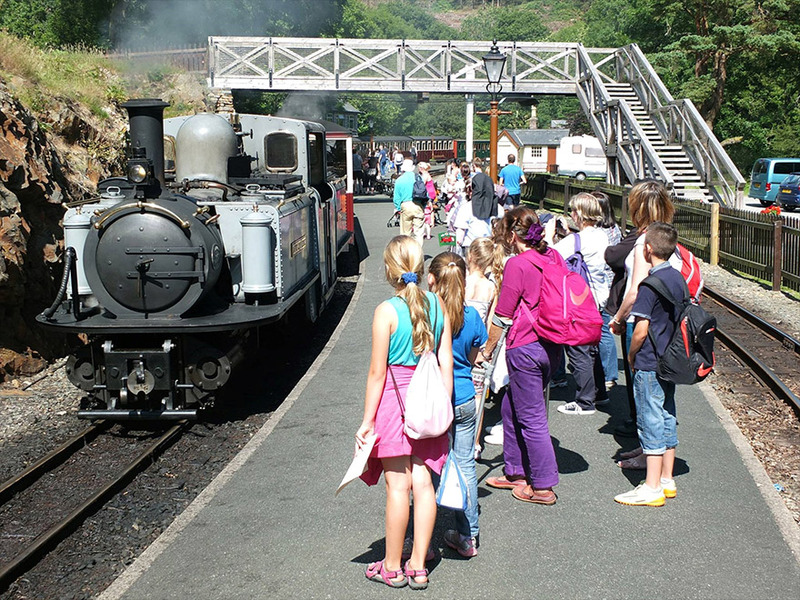 Relax in our award-winning pub and restaurant, or soak up the sunshine on our patio with a cold drink while gleaming steam trains bustle past. A return to beautiful Tan y Bwlch takes just half an hour in each direction. This peaceful location features woodland and lakeside walks, plus our own café featuring delicious home-made cakes and pastries with a kid's play area alongside. 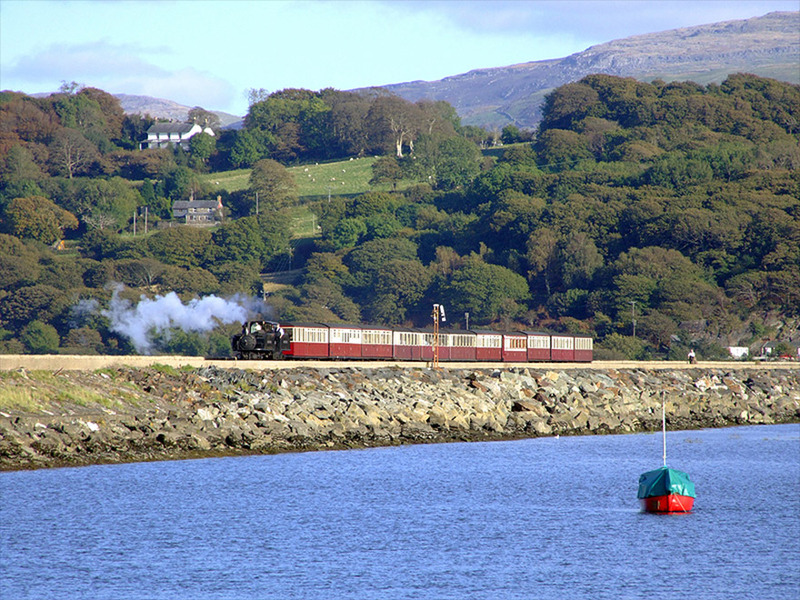 For the more adventurous, why not travel to Porthmadog, then change to the Welsh Highland for the trip to Beddgelert, passing through the stunning Aberglaslyn Pass? Beddgelert could well be the prettiest village in Snowdonia, set in stunning scenery with a wide range of shops, pubs and cafes and is less than 40 minutes from Porthmadog. Visit the grave of Gelert, the faithful hound of legend and explore the village that was the inspiration for the adventures of Rupert Bear. 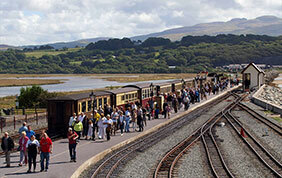 Check the Ffestiniog Railway Timetable for suitable departure times. Visit the Fares page, and then book online. Don't forget - All children under three travel FREE. One child under 16 years travels FREE with each adult or senior citizen paying ordinary 3rd class fare. "Magical as ever. Great day had with breathtaking views on one of Wales's finest tourist attractions! 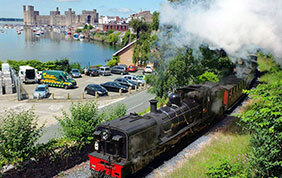 Staff are very welcoming and friendly and doggie came on board the train too."